Stand behind a Code of Ethics that offers values, principles and practice guidelines that define professionalism and success. Strengthen your knowledge through expert case studies, decision-making guidelines and other tips to help you apply your ethical expertise to everyday tasks and challenges. Share a strategic vision of the perceptions on the value and role of public relations in every organization with The Business Case for Public Relations™. Receive fundamental knowledge of communications theory and its application, research, strategic planning, implementation and evaluation through PRSA’s Accredited in Public Relations (APR) credential. Learn from the brightest minds and expertise from the communications industry. 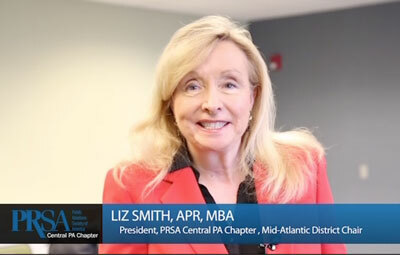 Access unparalleled learning opportunities and resources that teach you new public relations and communications strategies to drive business results. Enjoy free professional development opportunities and preferred pricing on seminars, webinars, teleseminars, boot camps and conferences on topics from social media to crisis communications. Stay on top of emerging trends and industry news with PRSA’s Issues and Trends daily newsfeed, monthly Tactics flagship newspaper and The Strategist quarterly magazine, delivering executive level insight. Access our members-only database of case studies, articles and research, including Silver Anvil Award winners and nominees. Chapters and Professional Interest Sections deliver your membership experience in your local community and in industry segments. PRSA’s RFP Exchange allows you to search and post your own RFPs to grow your business opportunities. MyPRSA lets you access and manage your members-only benefits including our directories and online discussion forums. PRSA’s Jobcenter helps you make your next career move, plus receive job alerts and access career advice. Join Online Now or mail/fax the application and gain access to career-boosting tools, resources and expertise. *National membership dues are $225 annually. Special pricing is also available for Associate Members and Graduate Students. If you have less than two years of experience in public relations and would like to join as an Associate Member, receive a free one-year membership in the New Professionals Section when you join before August 31.